Romans take their pasta very seriously. Sure, they like a good risotto ever now and then but pasta makes up the foundation of their daily diet. 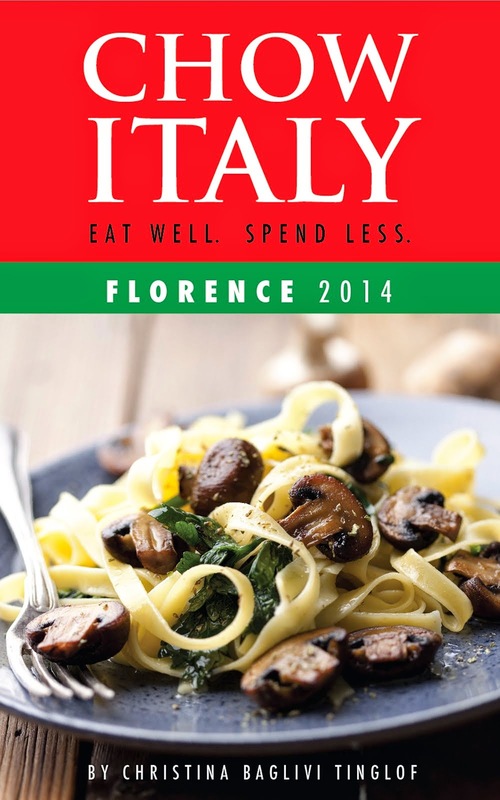 Furthermore, Romans have their favorite pasta recipes, regional dishes that they proudly call their own. If you're headed to the Eternal City, here's a primer on the Fab Four, a handful of quintessential Roman pastas (or primi piatti) that you'll find on nearly every trattoria or osteria menu. Try them all--often--and you'll still never have the same taste sensation twice. Literally translated, cacio e pepe means "cheese and pepper." And for good reason as the recipe calls for pasta, grated pecorino-romano cheese (never parmigiano-reggiano) and freshly cracked pepper. That's it. That's the recipe. But when this simple pairing is done well, it's sublime. Prepared by the wrong hands or worse, using substitutions (or--gasp--adding an off-the-cuff addition like garlic) and you might as well order pizza instead. The least know of the four but certainly not any less delicious, pasta alla gricia is also a simple recipe. Yet it's the combination of the right ingredients that make all the difference. First up is lightly pan-fried guanciale, a type of Italian bacon made from the pig's cheek or jowl. Not to be confused with pancetta, guanciale has a stronger, more intense pork flavor yet a more subtle texure. Gricia also calls for pecorino-romano (again, never parmigiano), a bit of the starchy pasta water to bind it all together, giving it a "saucy" finish, and it's ready! Traditionally made with bucatini (a thick spaghetti with a hollow center), amatriciana is named for the town where it originated--Amatrice--an agricultural village northeast of Rome. Like gricia, amatriciana is made with guanciale and freshly grated pecorino cheese but amatriciana adds a bit of tomato to the dish for a more rounded, robust character. Next to carbonara listed below, amatriciana is one of the most well known and beloved dishes in Italy. 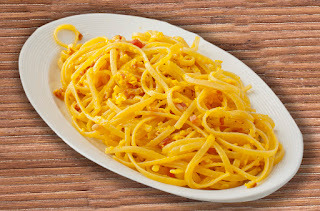 Spaghetti alla Carbonara: silky and sublime! 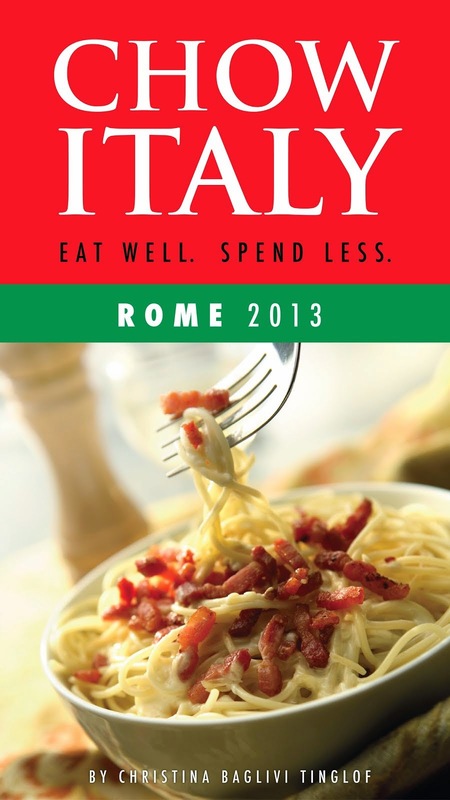 When most of us think of Rome, we think of the Coliseum, St. Peter's basilica, and of course, carbonara. But did you know that the real-deal is simply made with eggs, guanciale or pancetta, and pecorino? That's right--there's no cream in it at all! Instead, the secret to its silky texture is in its preparation. It's the proper technique that can turn this dish into a masterpiece. You see, when the pasta is finished cooking, it's immediately tossed in a bowl where a few eggs, the cheese, and lightly-fried guanciale are patiently waiting. It's the heat from the pasta that "cooks" the eggs and delicately coats the strands of spaghetti.